Daniela Velez-Reyes, 25, of Chicago, is charged with battery and disorderly conduct after allegedly kissing and then punching a flight attendant on an American Airlines flight. 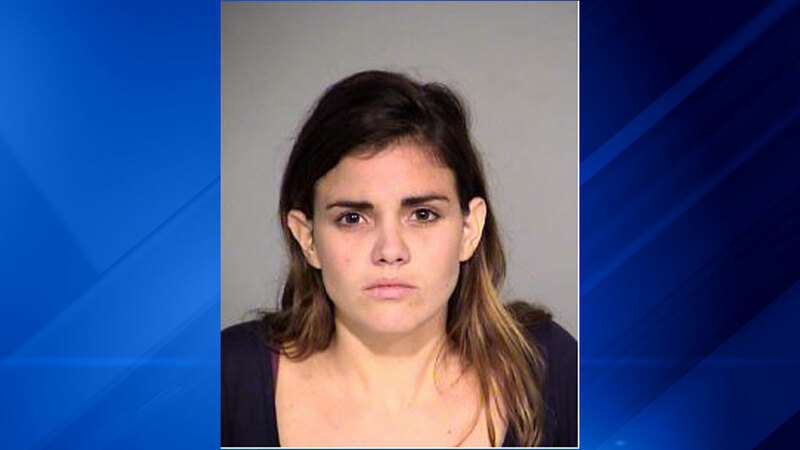 INDIANAPOLIS (WLS) -- Daniela Velez-Reyes, 25, of Chicago, is facing several charges after allegedly kissing and then punching a flight attendant on an American Airlines flight. Flight 1284 from Miami to Chicago was diverted to Indianapolis on Monday afternoon after Velez-Reyes became unruly. The plane was over the Indiana/Kentucky border when the pilot decided to land early. "She was disoriented through the entire flight, not being able to find her seat, walking back and forth," said Marian Frendt, a passenger on AA1284. "And when she came to the back, she was sweating profusely." Witnesses said the woman's behavior grew more erratic as the flight went on. "You could hear someone screaming expletives in the back repeatedly," passenger Jim Saviano said. "Then she started kicking the seat of the passenger in front of her, and he apparently turned around to complain," said Frendt. "And she hit him." Passengers said at that time a flight attendant took the woman to the back of the plane. "She was trying to talk the girl down," Saviano said. "She seemed really calm. She was talking about her boyfriend. And then, all of a sudden, she grabbed (the flight attendant) by the face, kissed her and then punched her in the face." That's when fellow passengers said the pilot came over the intercom asking them to help restrain her. "He just said large men," Saviano said. "He said I need large passengers to restrain another passenger. So when I hear 'large passenger,' I'm thinking something big is going down." After landing safely, Velez-Reyes was escorted off the plane by police and picked up by the Marion County Sheriff, where she spent the night in jail. Velez-Reyes is charged with felony counts of disrupting the operation of an aircraft, battery against a public safety officer and disorderly conduct. She also faces misdemeanor counts of battery, resisting law enforcement and criminal recklessness.